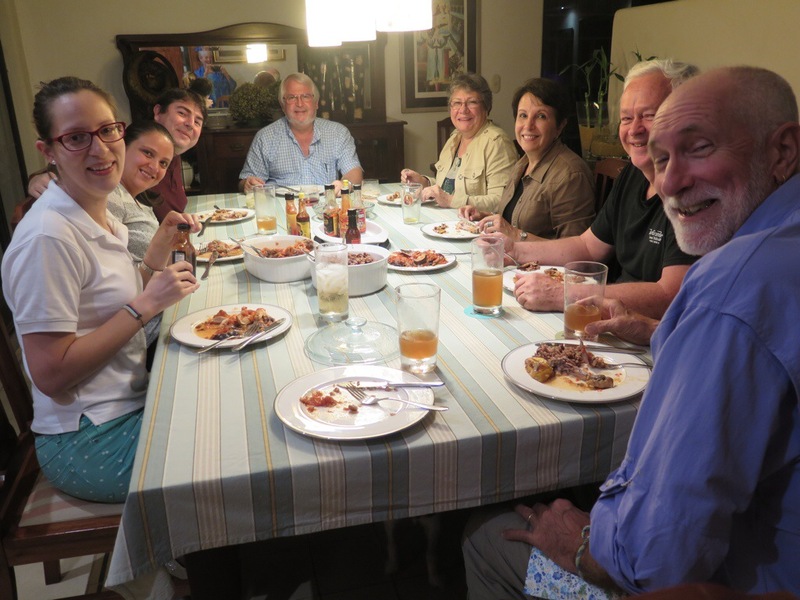 On our last night in the big city we were invited to dinner at the home of Roberto’s son Gustavo and his wife Margarita. It’s the first time we’ve had a home cooked meal in someone’s house in forever. We were delighted to meet more of the family and enjoyed the delicious food, too. We were up way past our bedtime, slept in the following morning and had a leisurely breakfast at the hotel before Roberto and Grettel picked us up for some last minute shopping and hanging out. Douglas also left the same day to return home to Colorado. 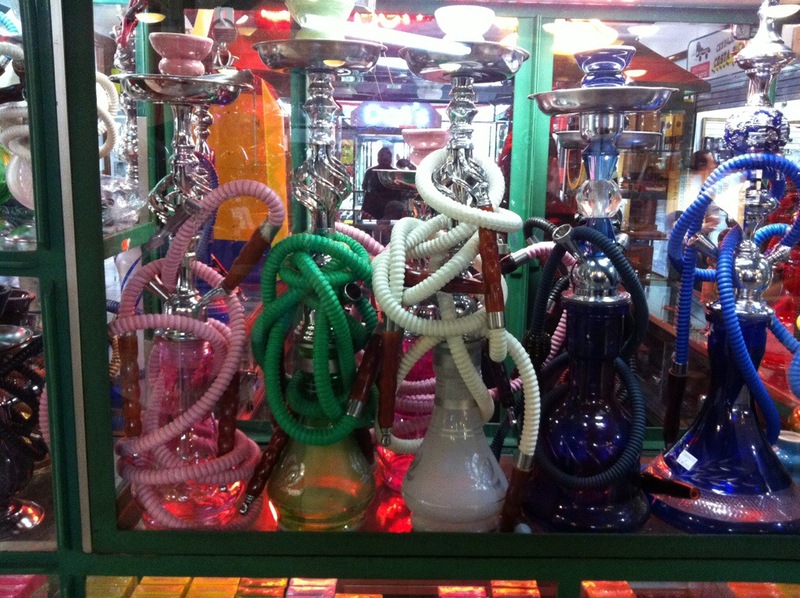 We were surprised to find in many stores displays of classic hookahs, right out in the open. 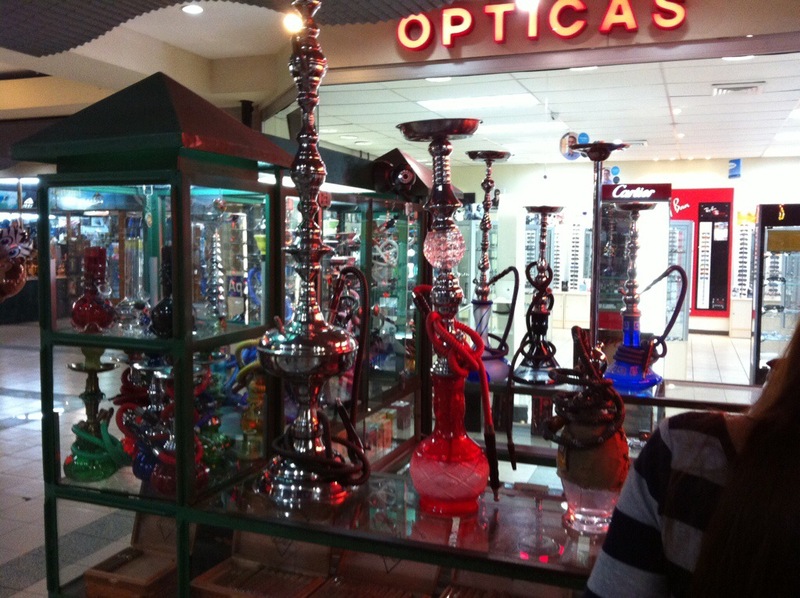 Laws against anything that might be classed as drug paraphernalia prohibited these things from most jurisdictions in the US many years ago. I mentioned this to Grettel and she shrugged. “They make nice lamps,” she said. 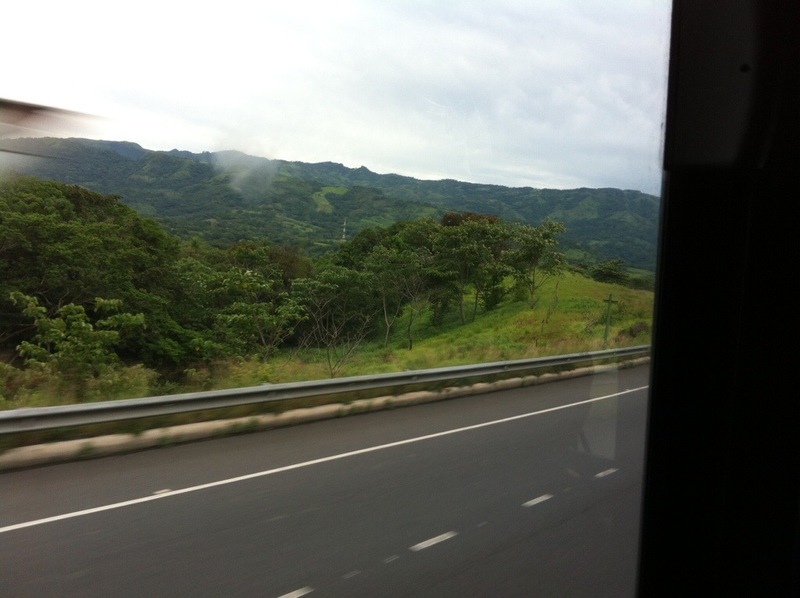 When it was time, they dropped us off at the bus station and we made the 6-1/2 hour journey back to Golfito. It was supposed to be a non-stop trip, but all along the way people asked the driver to let them off near their destinations. 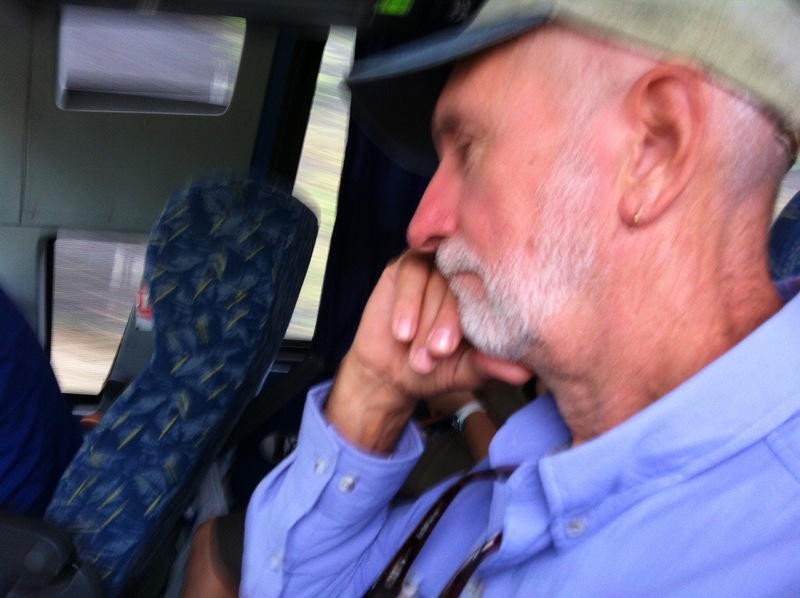 We figured we could do that too and had him drop us right in front of the marina, even though the bus terminal is just down the street. We opened the gate to Tierra Mar and set off the five-dog alarm that must have awakened the whole neighborhood but at least everyone knew we were home again. Someone had kindly bailed our dinghy and we motored slowly back to EV, sitting pretty, just as we left her.